A frequent urge to urinate without pain can be a symptom of problems with the bladder or kidneys. It could also indicate a urinary tract infection (UTI). Urgent and frequent urination can sometimes result from medication side effects, diabetes, or pregnancy. Read more about the possible causes of your symptoms and seek treatment accordingly. If your frequent urge to urinate is accompanied by a burning sensation, pain in the lower back (near the kidneys), or blood in the urine, seek medical attention as soon as possible, as these could be signs of a serious health condition. Urinary tract infections (UTI) can cause a frequent urge to urinate and occur when bacteria gets into the body through the opening of the urethra. The longer a UTI goes untreated, the farther the infection may spread. It can reach the bladder and eventually the kidneys. The best way to find out if your frequent urge to urinate without pain is due to a UTI is to visit a medical professional. Women get UTIs more frequently than men. However, one urinary tract issue for men is prostatitis, an infection or inflammation of the prostate gland. Symptoms of prostatitis are similar to those of a UTI, and men should consult a medical professional if suffering these symptoms. 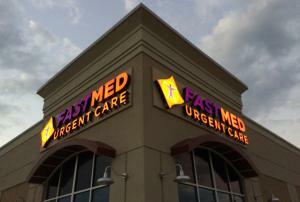 FastMed Urgent Care is dedicated to providing high-quality care that is compassionate, fast, and affordable. Our facilities include on-site labs, so our medical professionals can quickly and easily start diagnosing the cause of your frequent urge to urinate. You don’t need an appointment at FastMed Urgent Care. Simply walk in, and our helpful staff will try to get you treated and back on your way in under an hour. Also, check out our Health Resources Center for the answers to all your health questions. Do you have a constant urge to urinate, but no pain? Contact us today and find out why so many of our patients are satisfied with their treatment at FastMed Urgent Care.